Home » lifestyle » Oprah, Beyonce and Taylor: They ‘lost’ in midterms, so what about celebrity political pull in 2020? Tuesday’s midterm elections were a mixed bag for Washington pols – Democrats won back the House while Republicans kept the Senate – but they were something of a bust for Hollywood celebrities. 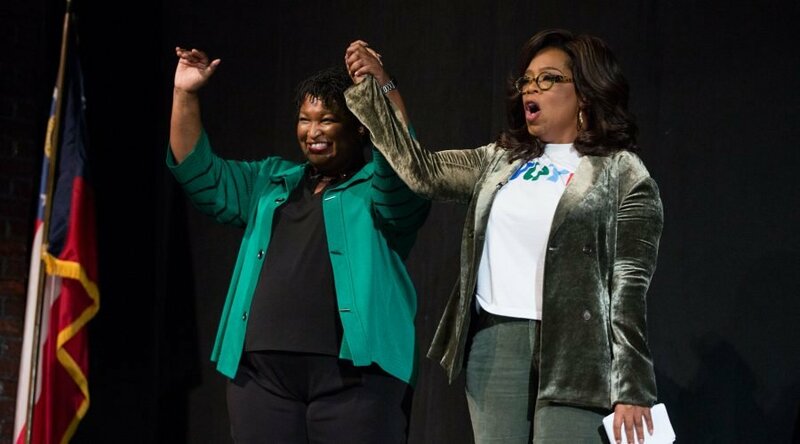 Oprah Winfrey’s support of Stacey Abrams in the Georgia gubernatorial race? Beyonce’s endorsement of Beto O’Rourke in Texas? Taylor Swift backing Phil Bredesen in a Senate race in Tennessee? Close, so close … but no cigars for their chosen candidates. Even actress Olivia Wilde’s mom, journalist Leslie Cockburn, lost her race for a Virginia House seat despite her daughter’s loving endorsement. If nothing else, the Tuesday elections prove again that the influence of celebrities in American politics is rather less than it appears given the amount of attention their endorsements and campaign appearances usually attract. “Celebrities don’t really have these huge, overall game-changing effects,” says David Jackson, a political science professor at Bowling Green State University. “We shouldn’t expect them to.” They might help in very close races, but their net effect is “always going to be on the margins,” he adds. Besides, the big-name endorsements were made in races in the deep-red South, says Mark Harvey, graduate program director at the University of St. Mary in Kansas and author of the 2017 book, “Celebrity Influence: Politics, Persuasion, and Issue-based Advocacy.” He says his research suggests celebrity influence is more persuasive in advocating for specific issues rather than individual political candidates. 11/08/2018 lifestyle Comments Off on Oprah, Beyonce and Taylor: They ‘lost’ in midterms, so what about celebrity political pull in 2020?